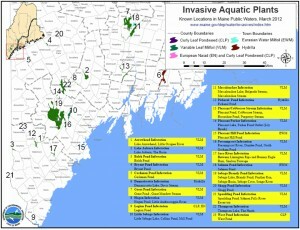 As of January 2017, twenty-four Maine waterways (encompassing forty-six distinct waterbodies) are known to be infested with invasive aquatic plants. 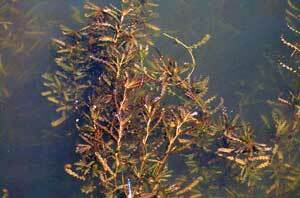 Variable water-milfoil is still the most widespread of the known invasive aquatic plants in Maine. 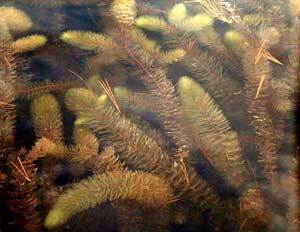 Other invasive aquatic plants present in Maine include curly-leaf pondweed, Eurasian water-milfoil, European naiad and hydrilla. For those of us concerned about the spread of aquatic invaders in Maine, 2011 brought both good and bad news. It also brought a new system for listing infestations. Please click here for the full update. Please click on map for larger version. Once an infestation has been confirmed, rapid response is crucial. The prospects for effective management or even eradication, is greatly increased by swift, well-planned, and properly executed controls. There are a number of control methods being utilized on infestations in Maine, often in conjunction. Control needs may change over the course of treating an infestation, and some infestations respond more positively to some techniques or combinations of techniques. 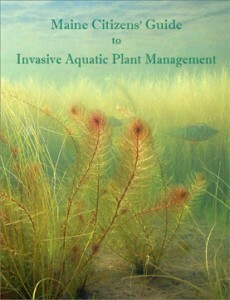 The purpose of the Maine Citizens’ Guide to Invasive Aquatic Plant Management is to provide the information necessary to effectively manage invasive aquatic plant (IAP) populations; to prepare for such an eventuality; and to address all associated activities. Methods described in this Guide are based upon tested best management practices for controlling aquatic plants effectively and in a manner that protects wildlife and habitat. 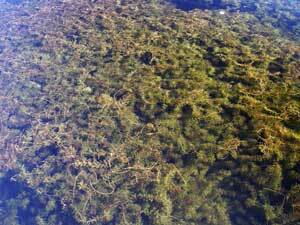 Water-quality officials in Maine are on constant watch for non-native plants, especially variable leaf milfoil. “That’s a non-native nuisance perfectly suited for life in Maine’s ponds,” said Water Quality Manager Mary Jane Dillingham of the Auburn Water District. Nothing natural in Maine can keep it in check, which means it spreads and spreads. 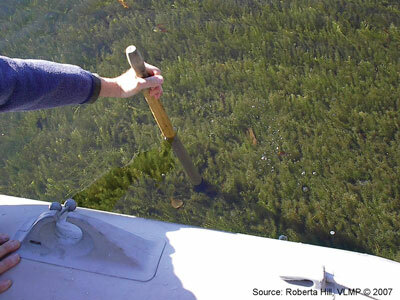 In the Basin, divers are removing milfoil by hand — basically, weeding underwater. Please click here for complete article & video.